First published in 1997, this volume examines the future development of the European Union (and Sweden’s role within it) which has been a subject of intense debate. Whilst to outside observers, the Swedish case may seem peripheral to mainstream events on the continental mainland due to the country’s status as a small state, Sweden will nevertheless have an important contribution to make to the future evolution of the European Union. 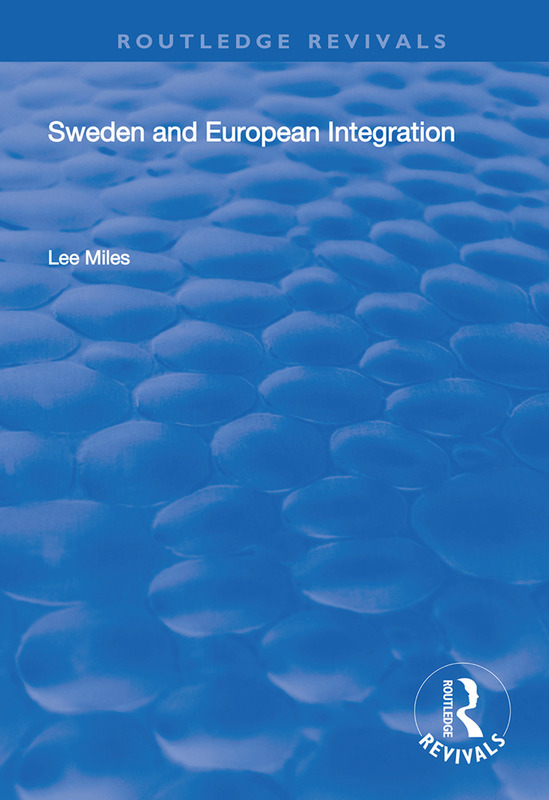 The purpose of this book is to examine the complex inter-relationship between Sweden and European integration (1950-96). It introduces the concept of the ‘Swedish Diamond’ to explain why the country’s governing elite resisted and then went on to seek and attain full EU membership. The author also argues that a revised ‘Membership Diamond’ represents a useful conceptual framework for examining elite attitudes and perspectives now that Sweden is a full EU member. The book also includes a Foreword by the Swedish Defence Minister, Björn von Sydow.